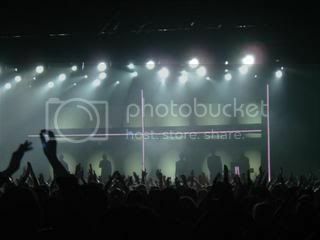 How many PSB concerts you been too? 4 including BP in London, will 5 as of next month. I went fishing with Salvador Dali; he used a dotted line. I have been to 11 shows, 1 in 1989, UK. 2 in 1991 Performance Tour, and 1 at Discovery Tour, 3 at the Nightlife Tour, 3 at Release tour and then 1 show last year and then two more to go for this year. Fugitive1979 wrote: First one next month. Sydney Hordern Pavilion, Good Friday night, 6th April 2007. Fundamental tour set list + Being Boring. One more concert virgin for Weirdalfan1980 and Fugitive1979. You have been missing out, Danger, they just keep getting better each tour! "Stars get their money from the production, starlets from the producer." 37 shows after this coming May! psbfannyc wrote: 37 shows after this coming May!